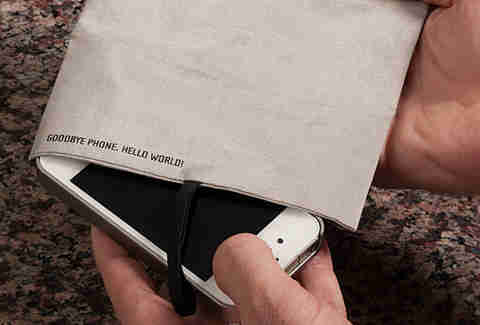 Put your phone in time out with Blokket, a signal blocking phone pocket sold by ThinkGeek. For all those occasions where you can't will yourself to to push that off switch, Blokket can provide some support. 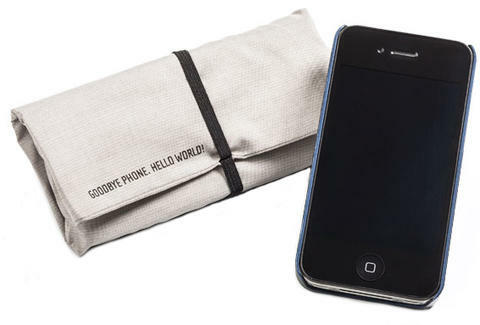 Made of woven silver thread, Blokket blocks 99.7% of incoming radio wavelengths, giving you a little time off the grid. Slip your phone in the pouch, and enjoy the momentary peace and quiet--although, you should probably deal with that call from your crazy ex sooner rather than later.